A little about me: I spent my working life as a professional musician, playing flute (and a lot of piccolo!) in symphony orchestras, about 10 years each in the Hamilton Philharmonic and the Niagara Symphony. In Hamilton, the conductor was Lee Hepner, and later Boris Brott. We had guest conductors including Arthur Fiedler and Mitch Miller, and soloists like Jean-Pierre Rampal. I spent a lot of time playing in wind quintets, flute and harp duos and a flute, violin and harp trio. My good friend, Doris Scharing was the harpist. I miss her a lot since her death in 2006. The most recent delightful musical partnership is with Timothy Phelan, a privilege we both always enjoy. Like almost every musician in the classical field I taught privately and extensively, flute, recorder and piano. 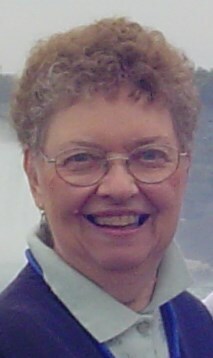 In 2009 I joined the newly formed Writers Forum that meets in the Thorold Public Library. We published a book last year and raised over $3000 for a local charity, Start Me Up Niagara. The title is ‘A Rainbow of Poems & Stories’ with work by eleven of our members, all living in the Niagara area. The limited run is sold out and we did it in just a few months. 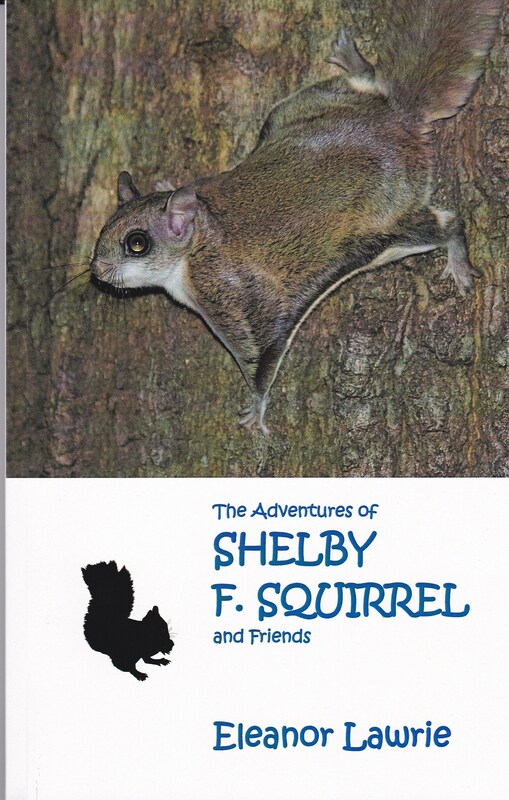 With a little trepidation I became an Indie Author in 2015, with my book for children “The Complete Adventures of SHELBY F. SQUIRREL and Friends”. Here is my cover: New design May 2016. Thanks to Birgie Ludlow for putting it together so skillfully!! 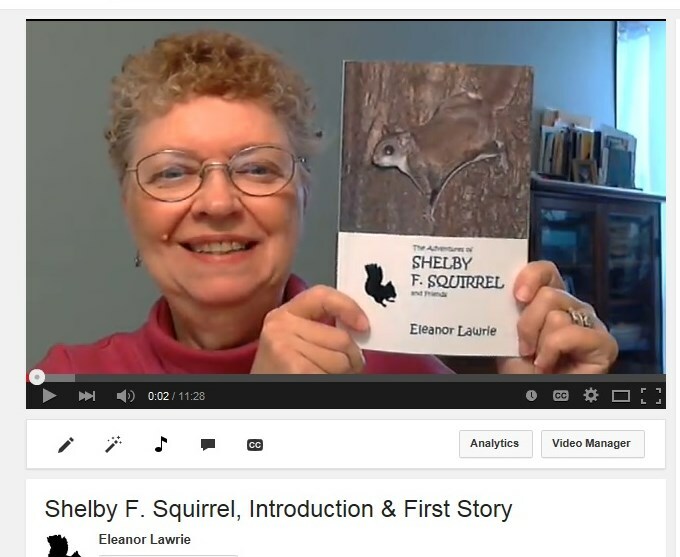 Five videos of yours truly reading from “The Complete Adventures of SHELBY F. SQUIRREL and Friends”. I hope you’ll check them out and respond with your comments. Introductory Video and first story from the book. I’ve paraphrased a little at times, but most of the time I am reading directly from the book. You can see the photo accompanying the story on each video. I chose real photos from nature to illustrate the book. Even though I love good drawings, I wanted the kids who read Shelby F. Squirrel to see how these animals, birds or scenes actually look. If you were ever a fan of Winnie the Pooh, or the characters in Thornton W. Burgess’s Tales of the West Wind, I think you’ll feel right at home with Shelby. The building where I live is where the idea for Shelby was born. I have no idea why he became a flying squirrel! He should have been a mouse or a skunk. My brain just kept imagining a small animal getting into the building, a high-rise condo, because the loading doors were so frequently left wide open. Once Shelby survived the adventure of the first story the rest was easy. So there you have it in a nutshell. And there he is for you to discover! Happy listening and/reading to you. I was retired from the symphony by that time, teaching only a little, but still performing at weddings with a guitarist. For retirement fun I joined a writing group and the first Shelby story was written as an ‘assignment’, and everyone loved it so a second story followed. He came alive and that was that! I had always visualized an animal getting into our condo building (high rise) because people left a loading door propped open. How I ended up with a flying squirrel, I have absolutely no idea! I can’t help thinking when I read about you, that there is so much beautiful symphonic music I would love you to hear. Any of the Brahms symphonies, so full of pathos, but still serene. Beethoven, Sibelius, Tchaikowsky, Schumann, Schubert. Total music for the soul. If you like more contemporary: Debussy, Ravel, Prokoffief (favourite of mine is Romeo & Juliet). HUGS!